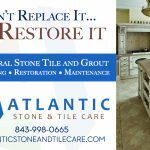 Mark your calendars and order your tickets for the Saturday, May 4 event from 3-6 p.m. at the Freshfields Village green on Kiawah Island. This always popular festival will feature live stage performances by Ann Caldwell and the Magnolia Singers, and the Deninufay African Dance & Drum Production which celebrate the proud Gullah culture and keep you movin’ and shakin’! 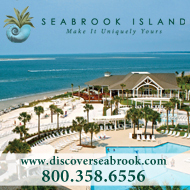 Enjoy tasty Gullah cuisine, beer and wine stands, shop for locally made products such as sweetgrass baskets, jewelry, art and more, and bid on hundreds of items being offered in the big Silent Auction. $10 in advance and $15 at the event. Guest 12 years and under are admitted free. For ticket purchase and additional information visit FightIslandHunger.org or select Freshfields Village merchants. 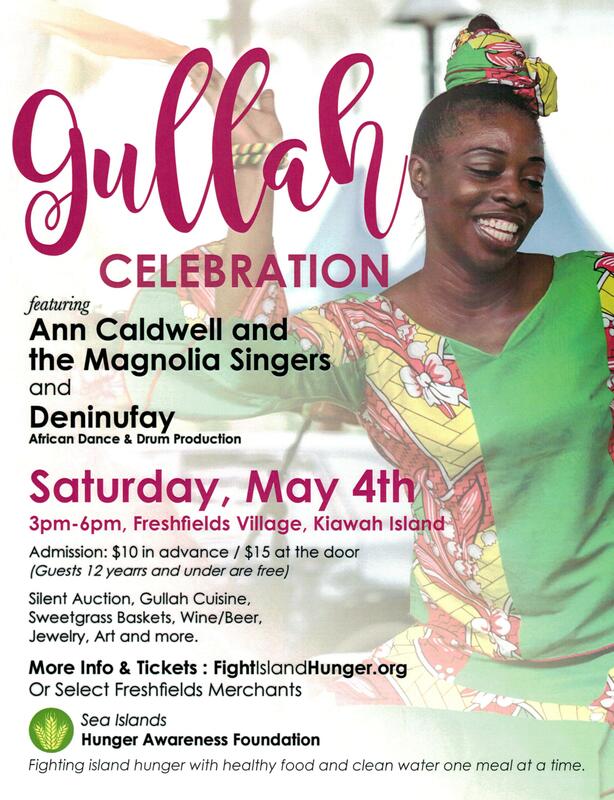 The Gullah Celebration is the sole fundraising project of the year for the sponsoring Sea Islands Hunger Awareness Foundation, the non-profit organization whose mission is fighting island hunger with healthy food and clean water one meal at a time. 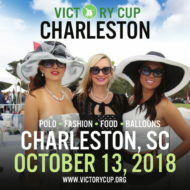 Don’t miss it, folks, It is a fun time for a most worthy cause.